The art and music are equally important for Australian psychedelic rock act, Tame Impala. From left to right we see long-term collaborator, artist Leif Podhajsky’s photography for Lonerism. 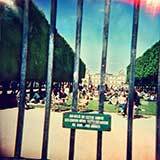 The image was personally taken by primary band member Kevin Parker with a Diana F camera and edited by Podhajsky; it looks onto the Luxembourg Gardens in Paris through an exterior gate, separating the viewer from the people in the gardens and exploring themes of isolation. 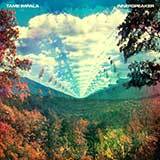 Next is Podhajsky’s cosmic artwork for 2010 album Innerspeaker. An image of the National Park North Carolina is digitally altered by Podhajsky using the Droste effect – a visual form repeating infinitely into the horizon. 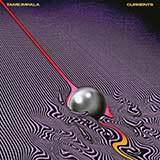 Finally, Currents the 2015 Tame Impala album release on Fiction Records sees a change in style and features Kentucky based artist, Robert Beatty’s striking digital artwork based on the concept of the way a gas or liquid flows around an object or ‘turbulent flow’ representing the music as a soundtrack to the turbulent nature of life.